The Spartacus workout and diet is a 9-part circuit training routine and fitness challenge. Liam McIntyre, who plays Spartacus, focuses on strength and size, with getting cut as an added bonus. The Spartacus workout alternates between days where you do 9-part circuits, and days where you do something called Dirty 30’s. 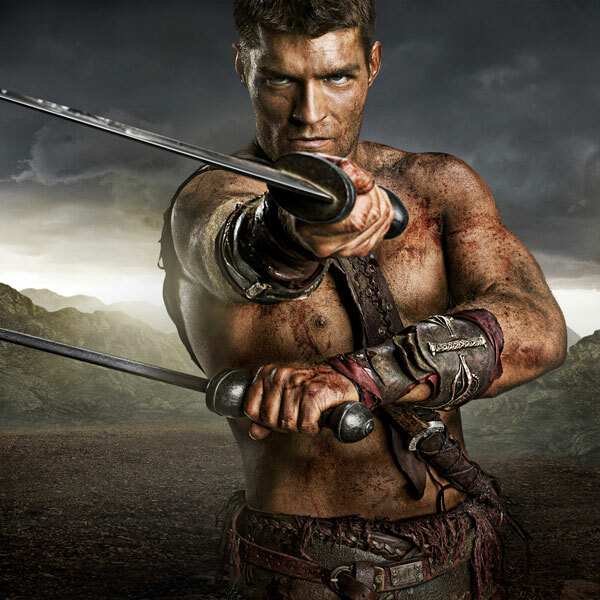 Liam McIntyre plays Spartacus, a Thracian warrior forced into slavery. Spartacus becomes the gladiator known for his prowess in the arena, freer of slaves, and victories over Roman generals. The Spartacus workout was designed by Rachel Cosgrove, C.S.C.S. 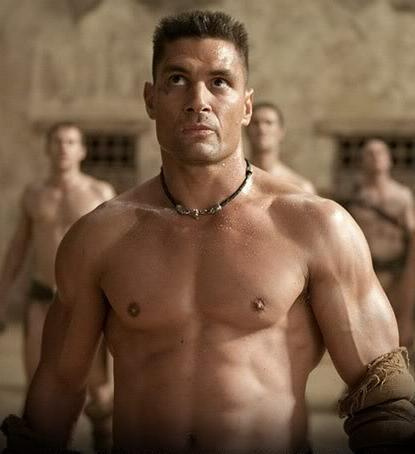 The Spartacus workout is also known as the “Crixus Workout,” by actor Manu Bennet. 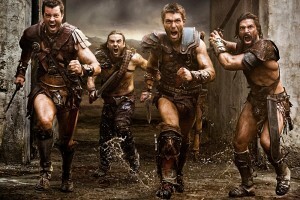 Dustin Clare stars as Gannicus, while Daniel Feuerriegel plays Agron. Use dumbbells for each exercise. Grab some dumbbells that will make you work hard during these short, 40-second circuits. Perform each circuit twice through. Rest for one minute between each time you do a circuit (3 exercises). This is the workout routine for Spartacus: War of the Damned. So, do Planks with Leg Lift for 40 sec, then Single Leg Stiff-legged Deadlift for 40 sec, then Alternating Rows for 40 sec. Rest one minute, then repeat those three. Now, rest another minute, then move on to the second circuit. Do Dumbbell Chops for 40 sec, then Push Press for 40 sec, then Dumbbell Side Lunge and Touch for 40 sec. Now, rest another minute, then move on to the second circuit. Do Lunges for 40 sec, then Goblet Squat for 40 sec, then Deadlifts for 40 sec. Rest one minute, and you are done. If an exercise is too easy, increase the weight of the dumbbells you are using. Now he’s learned his body. He knows his body ,and he’s growing he’s agile, he’s got it down pat. When last season finished up, he continued to work in the off-season, and he came back all ready, and definitely one of our fittest guys. Would you recommend this or the Brad Pitt Troy workout if I want to get a bit bigger but not huge and a lot more ripped? I am in between an ectomorph and a mesomorph. which would you suggest? Try the Spartacus workout first. I’ve found the circuit training listed above to be really effective in what you’re looking for. But, check out the Brad Pitt workout for more information on his diet. Diet is everything. Being meso/ecto means you’ve gotta eat a lot of clean food. It also may mean you’re gonna have to up your cardio routine. Still, I think you’re gonna find that the circuits are fun, and hep with your cardio needs. After your workout, make sure you’re getting a protein shake. If you get tired of the Spartacus workout, then move on to the Brad Pitt workouts. See what works best for you. On the dirty 30’s, it states 5 sets. If you follow the plan, that makes a five hour work out. Should that not be a single set? Each round should last a half hour. Doing 2 rounds, you’re looking at an hour of circuit training. The challenge is that you’re going to get winded, and it will take longer than 1 min to finish. This means you have to finish during your ‘rest time.’ Which turns into a slippery slope, as you’re only going to get more winded. Hence ‘Dirty’ 30’s. Chris, thanks for the clarity. Should this workout routine be used inlieu of a weight workout routine or as an augment to it? The Liam McIntyre workout is a circuit training type of workout meant for fat-burning. 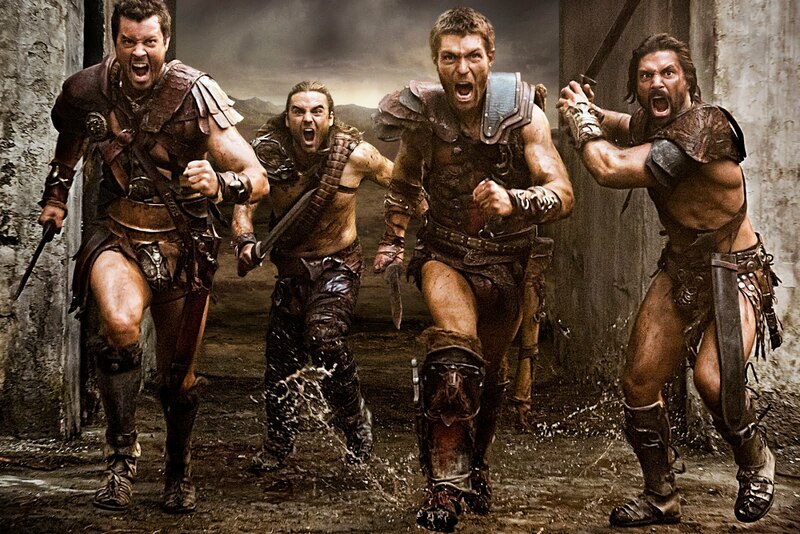 The Spartacus crew had already had already spent some time in the weight room. This was to get them cut, to look good on TV. So, you would do this when you’re in the “cutting phase” of your workout, or if you’re just looking to get leaner. im 5 foot 10. 160lbs. i want to get bigger and ripped, i dont have much mucle definition i have always been skinny as people put it but my lower stomach is getting bigger as i try to gain weight… what would you suggest specifically for someone to do to look like the cast of spartacus? These circuits were designed to help you look like the cast of Spartacus. But, you are what you eat. If you aren’t eating properly, then you won’t achieve the gains you want. 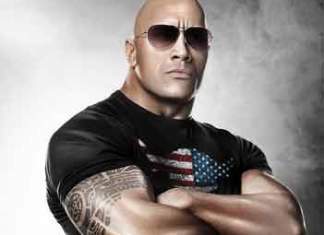 Check out The Rock Workout for an example of what he eats to get bigger. If you’re looking to get that lean, gladiator look, then the Joe Manganiello workout and diet may help you as well. Yes, you will notices that this workout, designed by Rachel Cosgrove, C.S.C.S, is about circuit training. The result is a lean, muscular body. When I did this workout, I found myself sweating a lot. It’s all about intensity to get that fat-burning going. The Spartan workout is a functional workout, meaning that gladiators would have wanted core, shoulders and leg strength. They’d be less concerned with chest. That being said, there are pushups, dips, etc. It’s just that the core of a good, fat-burning routine is going to involve a lot of core, legs (and in this case shoulder) exercises. On set, once they had passed gladiator boot camp, one of the actors led them through strength training. This is what got them stronger for the show. I was only able to find a video with a couple exercises, not enough to publish their strength training routine. It starts with the fat-burning cardio circuits, above, to get in gladiator shape.